The fourth day of walking from Martel to Rocamadour brings us to Bretenoux, a busy market town nestled on the banks of the Céré River which was first settled in the ninth century. In the thirteenth century, Baron Guérin de Castelnau, who ruled the region from the nearby château (which we will visit later), fortified the village, protecting its role as the trading hub of the area. There are lots of things to do around Bretenoux—perhaps this is the day to take a break from walking and explore the area. 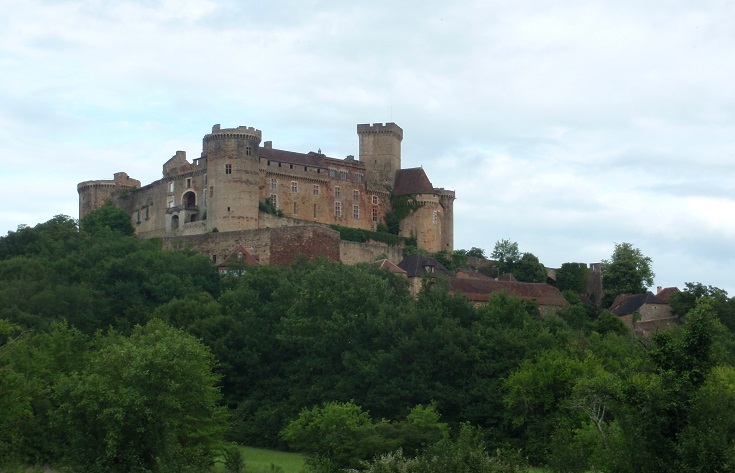 Fortified villages, such as Bretenoux, are known as bastides and over 500 were built in the south-west of France during the thirteenth and fourteenth centuries. Bastide towns are typically laid out in a grid pattern around a central square which served as the trading centre for the village. 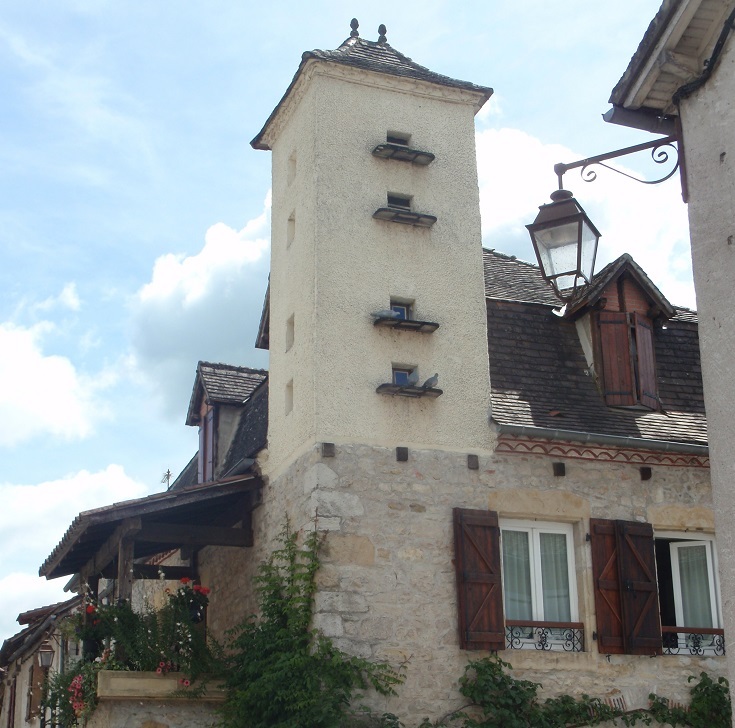 Unfortunately, few bastides remain today but Bretenoux is a good example with many beautifully preserved buildings and a real sense of a town that has evolved over the centuries but, in many ways, remained essentially the same. Call into the Tourist Office on Avenue de la Libération and ask for the map which provides a historic trail through town describing the buildings and the events that took place here mostly within a block or two of the central square—Place des Consuls. 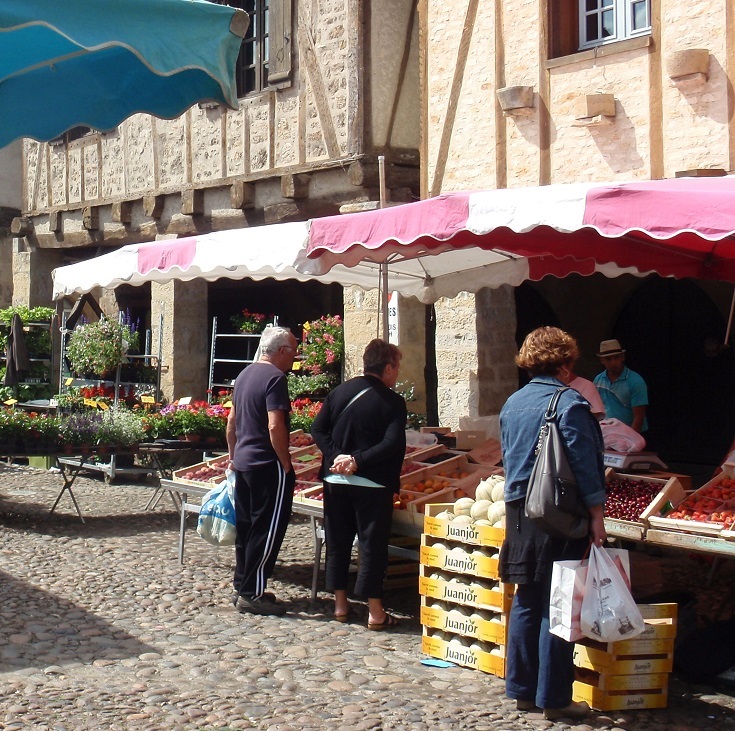 Follow the guided map backwards to end your walk in Place des Consuls where, on a Tuesday or Saturday morning, you’ll find yourself at the local market where farmers and traders have gathered for the past 800 years. The markets offer a heady variety of fresh fruit, vegetables and flowers along with craft, clothing and jewellery stalls. If you are looking for some fresh bread, cheese, sausage, olives to pack a picnic lunch, you are in the right place but snoop around and you may also find something nice to provide a more permanent reminder of your trip. 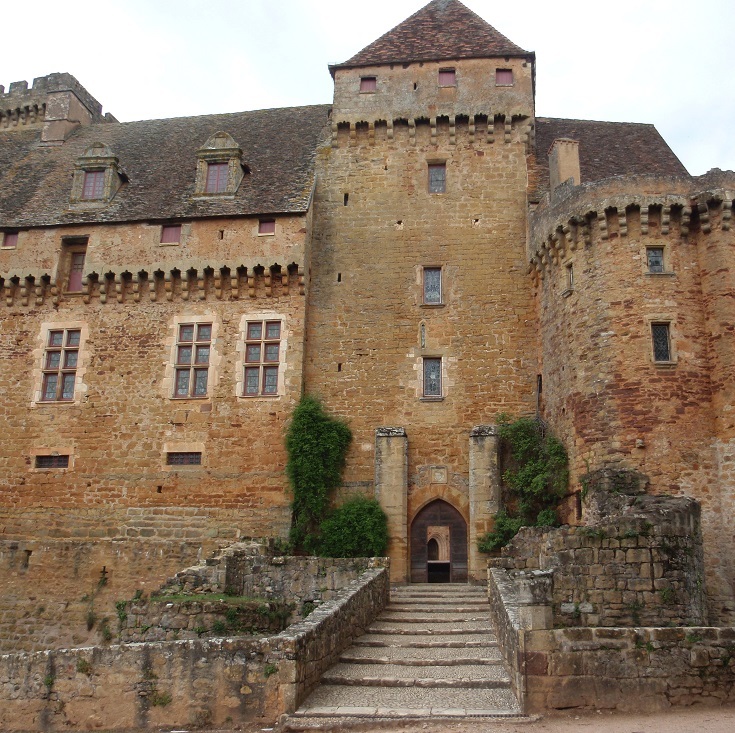 A short taxi ride from Bretenoux is the sixteenth-century Château de Montal. Built by Jeanne de Balsac between 1519 and 1534, the château provides a fascinating insight into the daily life of the nobility. For the quality of the exhibitions, we can thank Maurice Fenaille, a French philanthropist who restored and refurnished the château in the early twentieth century—buying back artwork and sculptures where he could and commissioning reproductions where necessary. Wikipedia claims that the Mona Lisa was hidden at Château de Montal during World War II. I don’t know if this is true—there is no mention of it in any brochure or information given out by the château—but it is a great story. You can explore the château at your own pace with the help of a brochure (available in many languages). The château is open daily except for public holidays, and Mondays and Tuesday from October until March—check the website for exact times. 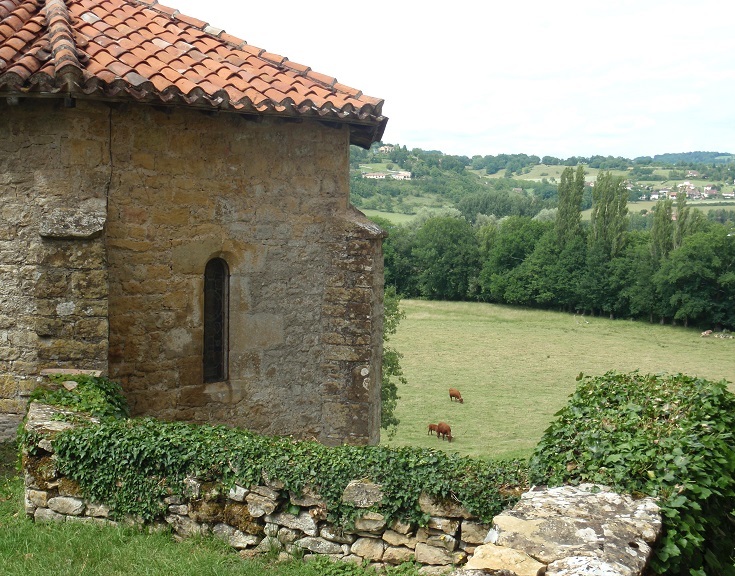 Of course, on the walk from Martel to Rocamadour you’ll enjoy 130 kilometres (81 miles) of glorious French countryside but this area is particularly beautiful! If you are visiting Bretenoux but not walking, this is the perfect place to pull on your hiking boots and head out into the wide blue yonder – perhaps walk to Château de Castelnau-Bretenoux rather than drive? When you are ready to leave Bretenoux and continue your walk towards Autoire, take a short cut through the tiny village of Félines. You’ll pass through rolling green farmland, tiny hamlets and the occasional ancient church—French countryside at its most picturesque. Although you are not on a marked GR path at this point, it’s hard to get lost—you’re headed for Château de Castelnau-Bretenoux perched on top of the hill (and that is where you rejoin the GR 652 which continues to Autoire). Construction of Château de Castelnau-Bretenoux began in 1277 by Baron Guérin de Castelnau and, over the following centuries, was expanded to include an artillery tower and additional living quarters. Although severely damaged by fire in 1851, the château was refurbished over a period of thirty years by the French opera singer Jean Mouliérat, who then donated it to the state. 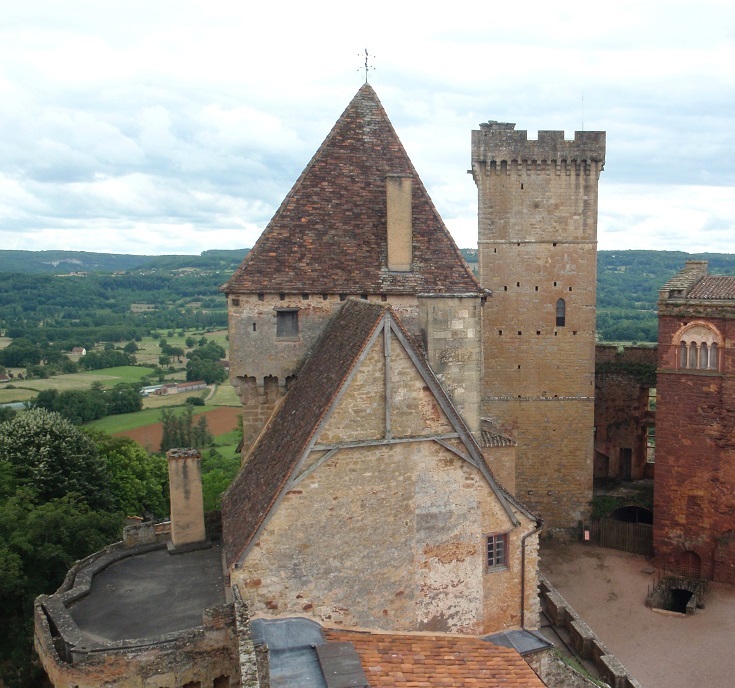 A climb to the top of the tower will reward you with stunning views over the surrounding countryside where you can imagine yourself as a guard during the Middle Ages, watching for approaching armies. Guided tours are available from the ticket office and there are often expositions held during the summer months. Check the website as opening hours vary throughout the year. The château also closes for lunch between noon and two o’clock each afternoon, except during July and August. Bretenoux is 22 kilometres (13.8 miles) from Beaulieu-sur-Dordogne and I recommend spending the night here on the fourth day of your walk. You’ll find the Tourist Office on Avenue de la Libération. Opening hours are listed here. You’ll find several cafés, a bakery (boulangerie) and supermarket in Bretenoux where you can stop for lunch or dinner, buy picnic supplies or stock up on trail mix. Fresh food markets are held in Place des Consuls on Tuesday and Saturday morning.